Complete optical fibre fed echelle spectroscope for astronomy. 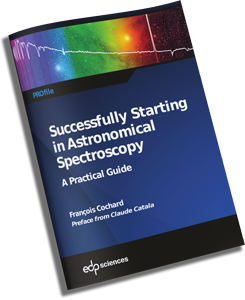 Fitted with a second generation collimator, it takes your spectra to the Hδ line ! Simply add a telescope, an acquisition CCD camera, a guiding video camera and a computer! 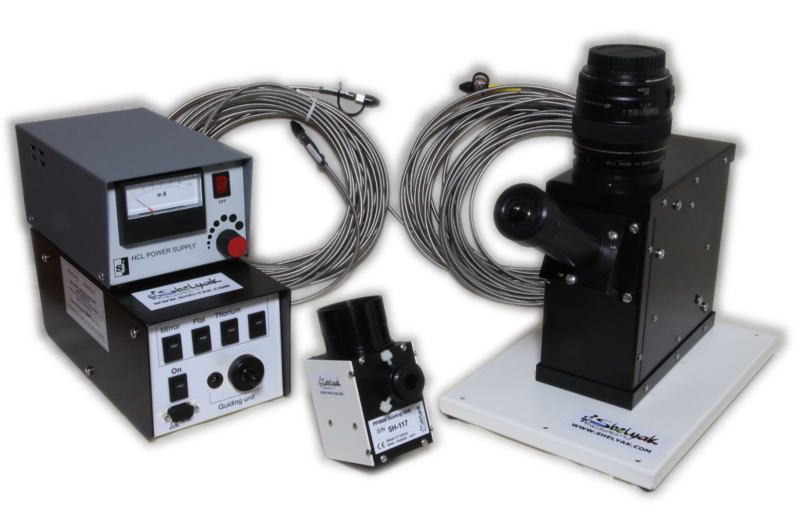 Choice of optical fibre has been made to increase radial velocities measurement accuracy and for a better confort in using the eShel. More details here. Variable T adapter BA0027 to mount your eShel fibre injection system on a Schmidt-Cassegrain Telescope (typically with a 0.63x focal reducer). cables and power supplies for standard european main supply (220V). To be adapted for other networks. You can see user guide and set up guide for this system.